Welcome back to the Broken Crayons Still Color podcast! 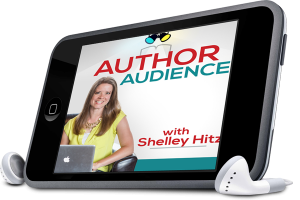 I’m your host, Shelley Hitz and today’s guest is Horace Williams. On July 1st, 2010 Horace suffered a massive stroke in his office after eating his lunch. His entire left side was paralyzed and during the quiet moments of lying in the hospital, God revealed to him that his Christianity was lacking. Now almost 6.5 years later, it is his heart’s desire to live for Christ so that He is glorified. Horace will share his story on today’s podcast. SHELLEY. 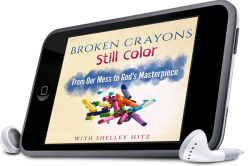 Welcome back to the Broken Crayons Still Color podcast, I’m your host Shelley Hitz and today’s guest is Horace Williams. Welcome Horace. HORACE. Hello Shelley, thank you for having me. SHELLEY. I’m so excited, you may not know this, but you’re the first male to be interviewed, so I’m excited. I love it, because I want to have both men and women. I’m so excited that I’m sharing your story and before we get in I’m going to introduce you just a little bit. On July 1st, 2010, Horace suffered a massive stroke, in his office, after eating his lunch. His entire left side was paralyzed, and during the quiet moments of lying in the hospital God revealed to him that his Christianity was lacking. Now almost six and a half years later it is Horace’s heart’s desire to live for Christ so that Christ is glorified. Horace will share his story on today’s podcast. So as we get started, why do you tell us a little bit about what the Broken Crayons look like in this season of your life. HORACE. I think before I even realized it I was broken and maybe I was ignoring it. I think other people saw it, my brokenness. In the moments leading up to the stroke, the days, and possibly years and months, leading up to the stroke I think I was broken emotionally as far as hurting. I turned to food a lot for comfort and had health issues and kind of ignored them. When I was sitting in the office I had bought a sandwiches for my team and I thought they had eaten them all and was giving them a hard time saying, “where’s my sandwich.” They said, “we saved you some, we saved you some.” I went in there and finished my hoagie and was talking to one of the members of my team. I went to get a piece of gum and dropped the gum bottle, I picked it up again and dropped it again. My friend said, “what’s wrong clumsy?” I said, “you know what, I feel a little funny, why don’t you take me home?” He said, “no, you don’t look right.” I said, “what do you mean?” I think by that time the left side of my mouth had begun to droop a little. HORACE. Another friend that I had been in the meeting with, a coworker, she had come around there to check on me because she had said I sounded funny on the phone. She took one look at me, called 911, and next thing I know the paramedics were there and I was being let out on the gurney. It was so fast I kind of just had flashes of it. I remember being in the back of the ambulance and being rushed into the emergency, my favorite green shirt being ripped off. HORACE. They were trying to stick me into the CAT scan, I guess, to take a look at my brain, and I couldn’t really speak at that point. I was trying to tell them I was claustrophobic. I was doing everything in my power to keep from going in the CT scan. I think they must have given me a shot or something because the next thing I woke up a couple days later in the hospital bed and my right leg was fastened to the bed to prevent any blood clots. I couldn’t move my left side, so I couldn’t sit up. Here I am in a room I don’t recognize, I can’t sit up, and I just start screaming, “hello! Hello!” I thought I was in a dream. SHELLEY. Wow, would you say that was your lowest point, or what would you say was your lowest point during this season? HORACE. I could almost see the gulp in my mom’s face. The doctor left the room. I just looked at my mom and said, “you know, the doctor doesn’t know everything.” My mom quoted Jeremiah 29:11 at me, and that verse has special meaning. “For I know the plans that I have for you.” At the time I didn’t quite understand it because I was still kind of grasping at what the doctor had just said and what had happened to me. I was in the hospital for quite a few nights and it was very lonely and dark. Because there was injury to my brain I didn’t sleep well, and now I suffer from sleep disorders. So I would have nightmares, and I would say that would be my lowest point. SHELLEY. So you’re in the hospital, you’re 43 years old, half your body is paralyzed, you’re having nightmares, you can’t sleep, what was the turning point would you say? Did it happen in the hospital, or did it happen after? September 9th of 2012 my caregiver took me to the church, I sat on the front row, and when the pastor gave the invitation I went forward and told him I’d heard him on the radio, what had happened to me, and I wanted to rededicate my life to Christ. HORACE. That was a day that I’ll never forget. 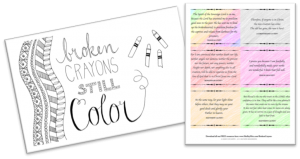 Broken crayons can still color. SHELLEY. Oh yeah, and it shows the power of radio, and now even podcasts like what we’re doing right here, you never know who is going to be listening to his and how they are going to be impacted. God’s word never returns void, and you were hearing his word, you were surrounded. I’m sure people were praying for you. HORACE. So many people praying for me, there were a lot of friends who couldn’t get in to see me because I was in no condition to be seen when I was in ICU. HORACE. So they were kind of panicking and freaking out, wondering, “is he alive? What’s happening? What’s going on with him?” It’s really been a blessing, because I guess it was a couple years later, as I was going through my rehab and still couldn’t even do that when I can. 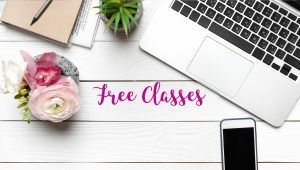 My sister sent me an email and she said, “I know you have always loved writing, have you ever thought about starting a blog?” I really hadn’t, but I started looking at it and I began to realize, like you were just saying, that blogging is more than just jotting down, “I got up today and had a coffee. Went to walk the dog. Cleaned out the garage.” I was reading that it really seemed to be impacting people’s lives. You were offering help, encouragement, and things of that nature. I continued to pray about that, and I just really want to share with other people that God does love us, and he does have the power to change our lives, or transform our lives, to help other people. That’s what I hope to do going forward. SHELLEY. If you could give one piece of advice or encourage to others, after all that you’ve been through, what would it be? HORACE. I would say, keep your eyes on Jesus. It’s real easy to take your eyes off of him and focus on the circumstances around you. Regardless of, you may not be suffering a stroke, may not be something that serious, but it’s easy to get focused on financial situations, family situations, job situations, struggles, things we might be dealing with. When we keep our eyes on Him, “the joy of the Lord is my strength.” One thing I have learned is God has a purpose and plan for each and everyone of us. He’s never surprised by anything that happens in our lives. I try to keep myself reminded of that by staying in his word, praying, and talking with him. A lot of times people get intimidated by prayer, but really it’s just talking with God. He wants to hear from us, He wants to comfort us, encourage us, and use us for His glory. SHELLEY. You can walk now, correct? HORACE. Yes I can walk. I use a walker because my left side is still pretty weak and the joints don’t want to cooperate all the time. So, it’s a situation where sometimes I use a cane and I end up hurting myself. I try to be safer than sorry, so I stick with the walker when I can. HORACE. I’ve come a long way. I’m able to cook for myself, do things around the house, the thing I’m most excited is, I thank God every day, that I can read His word. SHELLEY. Amen. You’ve written a book, right? HORACE. I have written a book, yes ma’am. I guess it was the Spring of 2015, or 2016 actually, God put it on my heart to write a book on the power of Prayer. I’ve of course seen it work in my life as people were praying for me, and I was praying for people that I know and love. There is something, such a blessing to see God’s power build in your life and the lives of people you know and care for. One of my favorite passages is, I believe, in James where it talks about we’re just like Elijah, we’re praying to the same God that sent down fire from heaven. SHELLEY. Yes. So if someone has been inspired by your story, wants to connect with you or find out more about your book, where can they find you online? HORACE. I have a website called PleasingtothePotter.com and I try to post a couple times a month whatever God puts on my heart. I also do a lot of guest articles on different websites. The name of my book is called Unleash The Power of Prayer in Your Life. There is also links on my website to get a copy of that boo, or you can download it on Kindle and it is available on paperback as well. SHELLEY. Thank you so much for sharing your story. It’s just another example of how God can turn our messes, or what we see as a mess, into a masterpiece. He’s now using you as his mouthpiece in writing, in books, in many different ways. Thank you again for being here and sharing your story Horace. HORACE. Thank you for having me Shelley, God bless. SHELLEY. Thank all of you for joining us and listening in today.